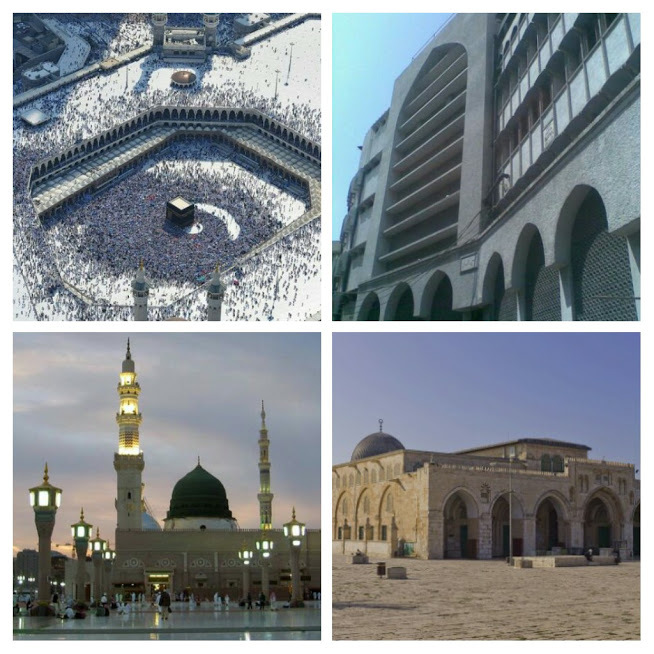 All people in the world know that all the Muslims pray facing toward the Kaaba, Makkah. No matter where Muslims live, their prays can't complete without facing Kaaba. Every one including me wants to go and touch Kaaba, at least once in whole life. Thanks, Allah S.W.T (Alhamdullilah), I have got many chances to visit & see Kaaba. I have touched Kaaba many times with my own hands in a very emotional and thankful environment. I have also visited Madina. But, there are still other such sacred places & I also dreamed about them. I have this 4-places primary wishlist where I want to go before I die. Since currently, I am working in Saudi Arabia, I have got many chances to visit the first two places. And as I am India 4th one is easy for me. 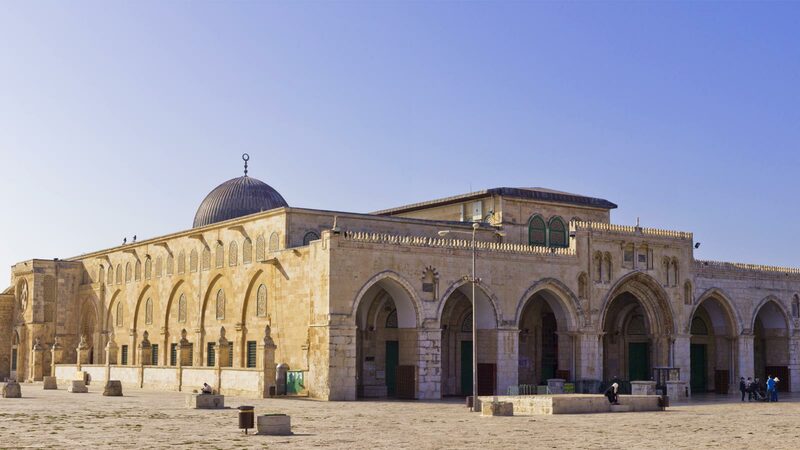 Now, I want to visit Masjid Al Aqsa, but why? Kaaba is the current direction(Qibla) of Muslim prayers. Before Kaaba Masjid Al Aqsa was the prayer direction (Qibla). At that time, both Muslims & Christians were facing toward Masjid Al Aqsa for their prayers. Non-Muslims started talking that about this. So, according to the hadith, Allah S.W.T commanded Prophet Muhammad (p.b.u.h) to change direction toward Kaaba. All Muslims changed their direction during Salah( Prayer). That masjid is renamed as Masjid Qiblatain. Prophet Muhammad (p.b.u.h) started their journey to visit Allah S.W.T at the night of Meraj from Masjid Al- Aqsa. Along with all the prophet arrived till date, they performed prayer before initiating journey. This is sufficient to explain the importance of that Masjid Al Aqsa. As a spiritual bonding with this Masjid, I wish I could visit at least once.